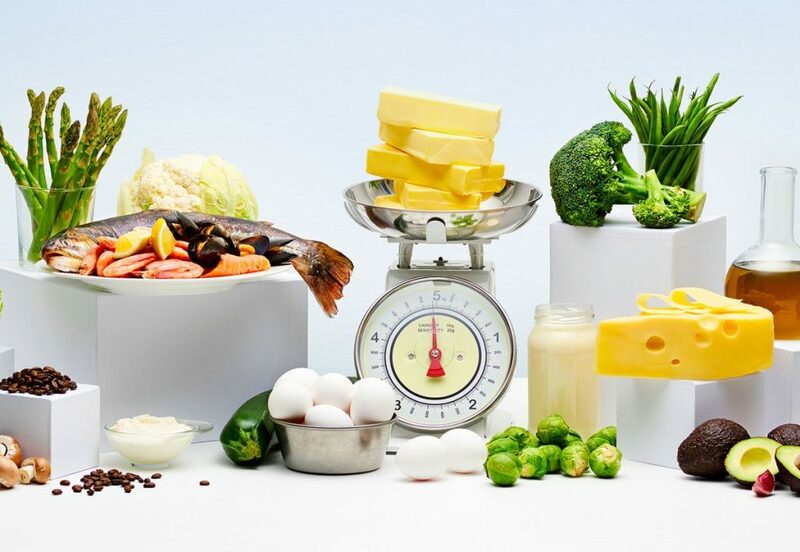 In a nutshell, the “Keto diet” is a low inflammation diet meant for a specific population of people who may suffer from autoimmune disease, obesity, severe concussion symptoms or multiple concussions, or other ailments and disease that would warrant a specific diet to combat damaging inflammation. Carbs are limited in the keto diet, but instead of generalizing all carbs being eliminated, the ones first stripped from someone’s diet would be those that historically cause inflammation. This also goes for specific types of vegetables, some don’t always agree with people’s stomach lining or they may be too aggressive which can spike an inflammatory response, whereby a person would be limited to a specific list of veggies. Certain oils would definitely be a no-go, obviously no canola or corn oil which are some of the dirtiest oils you can use. There would also be a limited list of protein sources to choose from, it’s not just an “eat bacon daily,” type of diet. The meat would need to be grass-fed not corn fed, hopefully organic, free-range as to reduce the amount of stress the animal went through in its life. A high stress animal does not produce the healthiest meat. Ultra-lean beef like bison would be optimal, fish with safe catch practices. Things like a very limited or preferably zero alcohol, restaurant eating would become difficult, the menu would be bland and repetitive…but this is what people MUST DO if they are suffering with high levels of inflammation in their body, either caused through lifestyle, auto-immune disease, or an injury. Wait, hold up…what about the bacon for breakfast every day? And the cheese?? WHAT ABOUT THE CHEESE!? Maybe in very limited amounts and from a grass-fed, organic source, but you’re going Keto my friend this ain’t no rodeo…this is a hard, sacrificing, diet your entire office and extended family are doing. Well that is, they say they are “Keto,” but my question is…why? The keto diet is ultimately very restrictive, maybe this is something that appeals to people because it makes them feel like they are on a plan, they are actively doing something about their health, others around them are reportedly “feeling GREAT!” just a few short days in. It’s a no brainer why so many people are hopping on the Atkins diet, I MEAN keto diet…it provides the promise and hope of a better life. The fitness industry will hop on a trend and hope to capitalize hard on it while it’s hot. Personal trainers, celebrity trainers, companies, even restaurants, popular food chains, all start hopping on the Keto trend to make a quick buck off a fad. I think the Keto diet should be prescribed by a professional to an individual, and not something you casually look up on Pinterest for recipes and then label your lifestyle as Keto. In the beginning of the diet, many people exclaim they have a ton more energy, they feel amazing, more focused, more mentally alert, and other side effects they read off google or heard others say. I do find there is a small placebo element. However, you could 100% feel better but this change in energy could have more to do with the vast difference in lifestyle. Maybe previously your meals were sporadic, you would have no idea how many calories you actually consume in a day, let alone grams of protein, fat, or carbs. Now since starting Keto you are more conscious of prepping, packing, and eating meals throughout the day. You are more aware of what you are eating in general, how you are fuelling your body. It may not be the Keto meals that are causing the energy boost, it may be the overall caloric intake is more consistent and what you are eating is more nutrient dense. If a person was looking to lose weight fast, they would be hopping on the first thing they hear worked for someone else. Especially if it’s a time sensitive situation. However, how do you know if the weight or lbs they lost on the scale was from muscle? Or fat? Usually when people are looking to lose weight and they are not obese, they will do way more activity and eat way less, especially cut out carbs. Unfortunately, this can do more harm than good as you have potential to lose lean muscle mass, therefore hurting your metabolism, insulin sensitivity, and hormonal health. Carbs do not have to be eliminated, but they can be reduced during certain times of day and increased other times of the day such as pre and post weights workout. This is why I always recommend to those who have some fat to lose but are not obese, to instead do a higher fat and protein breakfast and then have the majority of carbs around workouts when muscle cells are the most spongey. This way you have enough energy for an effective workout, but also have enough carbs to replenish and repair muscle fiber. I think the belief with Keto is zero carbs, and that’s not always the best course of action towards weight loss. This is one of the reasons why I believe the Keto diet has been taken out of context. In my opinion, the average person during their work week would not be strictly keto long enough to invoke ketosis. When used loosely, the keto diet can be harmful if you are cutting off carbs, then introducing them over the weekend in abundance. But like I said before, the keto diet is more something that should be prescribed vs. something loosely attempted as a goal to lose weight. If you want to lose some body fat and increase muscle but are not obese, then don’t do something as restrictive as the Keto diet. Usually a high amount of body fat throws off hormonal equilibrium so hard, that it can invoke lingering auto-immune diseases, or make other disorders such as PCOS much worse than they need to be. Ultimately, high amounts of body fat causes inflammation. Sometimes with severely obese people they need to go on a very restrictive diet with carb sources that spike a low insulin response. Their cells are insulin resistant, which means there is a higher chance of the blood sugar not being used by cells, so it is stored in the liver or put into fat cells. The carbs for an obese person may come from avocado, a freshly squeezed 1/3C high anti-oxidant and iodine juice, or nuts for example. But carbs that spike insulin need to be eliminated until enough body fat is lost where the person can tolerate carbs again. I think the Keto Diet has been slightly taken out of context, and I think it’s made carbs an enemy and bacon a friend. This is not necessarily what the Keto Diet was originally intended, but it’s something the fitness and wellness industry can capitalize on. Regardless of how effective it truly is, following a plan, a guide, and feeling like you have some sense of control over your health is refreshing, and makes people feel good about something. However, there is no golden diet that will make people look toned and lean. Nutrition for weight loss and muscle growth is not 1 thing, it’s a complex relationship of many things over time, whether that be diet, sleep, stress, cardio, weight lifting, rest days, carb cycling, work ethic…the most important element is time. If you are working hard, and eating healthy foods consistently without bingeing or blowing out your caloric intake or under-cutting your caloric intake…you will lose weight. It doesn’t take a magic diet to do that. Start meal prepping, buy healthy options, don’t eat out so often, stop drinking so much, stop eating deep-fried foods, start weight lifting, get more sleep, drink more water, be happy, give it time, and you will be successful.